Call To Schedule Nail Appointments! 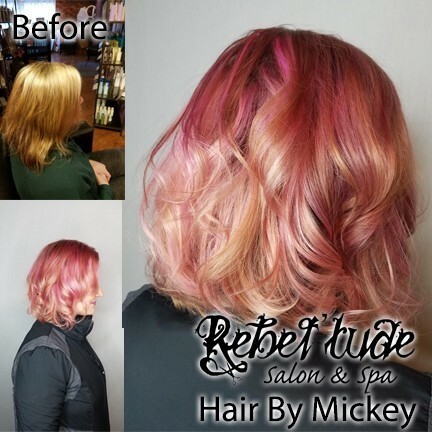 Hi, my name is Kimberly "Mickey" Evans and I'm the owner of Rebel'tude Salon & Spa. I was born and raised in the Great Northwest, and currently reside in Beautiful Gig Harbor. I have 2 adult children and 5 grand children! 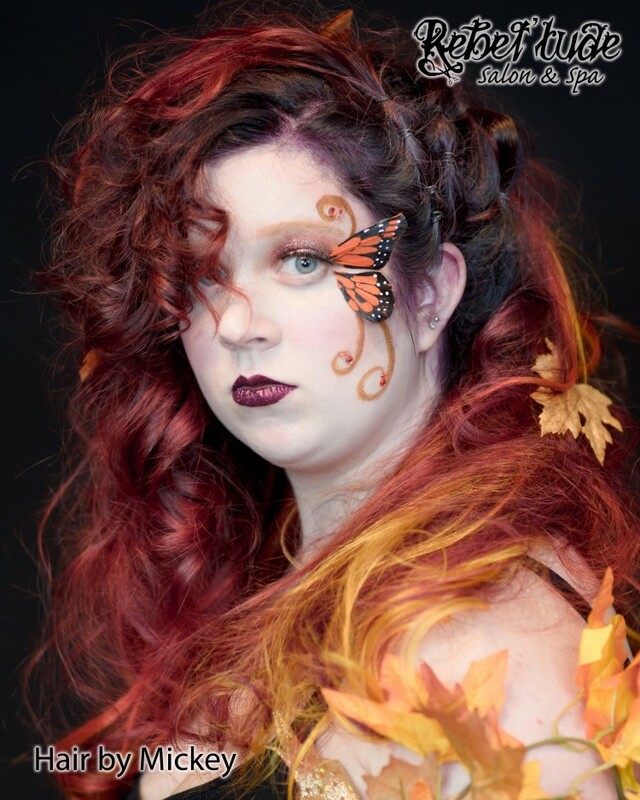 I studied Cosmetology at the Gary Manuel AVEDA Institute in Seattle, WA where I received an amazing education and planted my skills deep in Precision Hair Cutting, Custom Hair Color, Fashion Forward Styling and Outstanding customer service. I have experience of working with Internationally known stylists in Editorial work and photo shoots as well as runway work. I was also honored to receive recognition by the Pro Beauty Association through their BEACON Hair Awards Program for my Cutting, Color and Styling skills. I use only professional products in my salon such as Kevin Murphy, Moroccan Oil and Brazilian Blowout. I use the Kevin Murphy Color Line as well as Pravana, Joico and Pulp Riot for fashion fun colors. 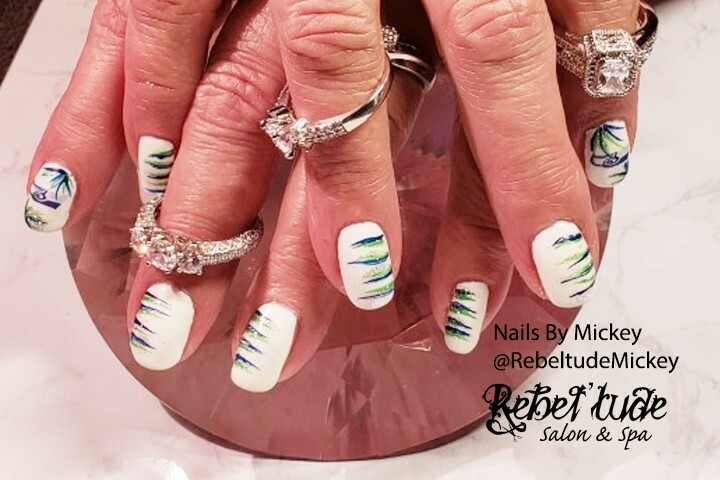 Previously working in salons in Seattle and Tacoma, I began taking Gig Harbor Clients in 2013 - I just couldn't find a salon that offered the high standards of customer service and experience that I wanted to offer my clients and so Rebel'tude Salon was launched in 2015! I have an amazing team, including my own daughter, that work with me at Rebel'tude. 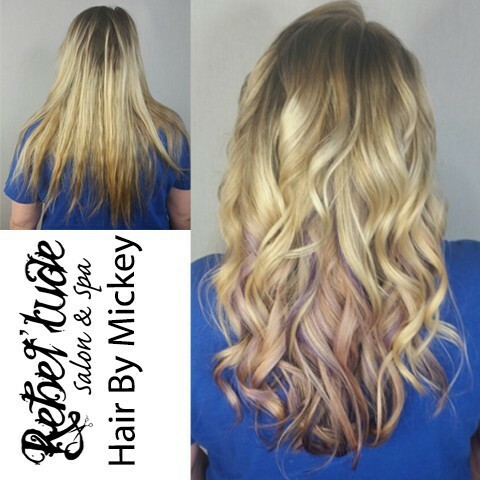 My specialties lie in Extensions, Color, Color Correction Services, Curly Hair and of course cutting. I am also the Rebel'tude Nail Artist! I am available behind the chair on Tuesdays and Thursdays, but am at the salon daily M-F. 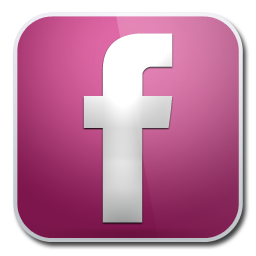 I do not have online booking, so please call the salon to schedule your next appointment with me! "Had my first Deva Cut since embracing my curls a few months ago. I hadn't had my hair cut in almost 2 years, and had been bleaching it before as well. I had been online scouring YouTube videos to figure out how to do this whole curly girl thing. I found the DevaCurl products and loved them. I knew that cutting curly hair is WAY different than cutting straight hair. I had someone explain it to me as "pruning" because they cut your hair dry to shape up your curls. 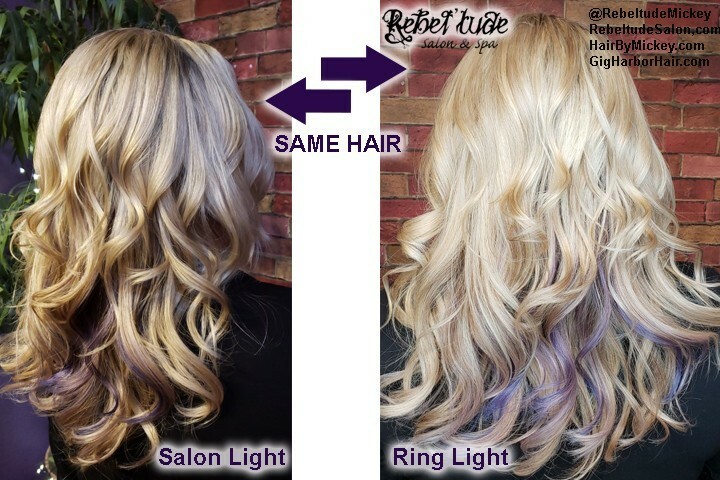 Everyone's hair curls differently so a typical haircut just doesn't work for us curly girls. 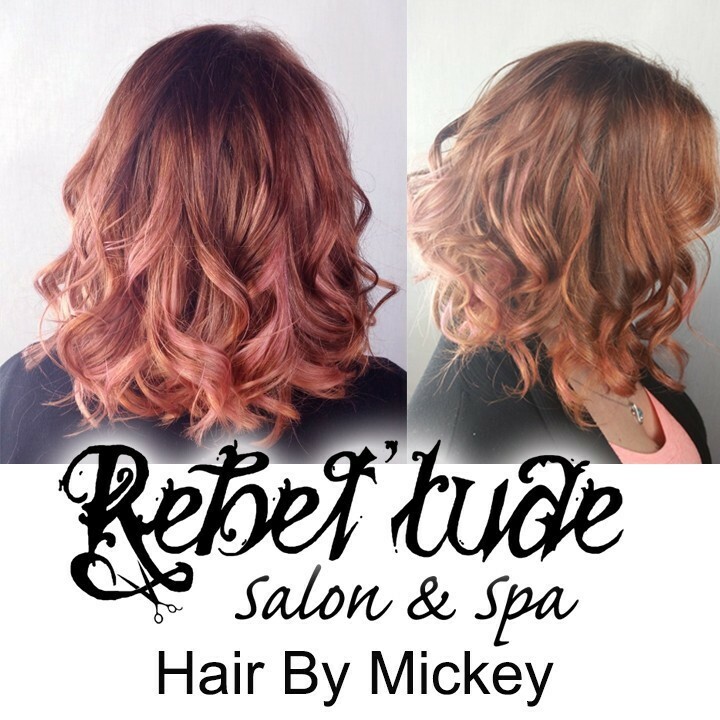 I watched a DevaCut being done on YouTube so I totally knew what to expect and was really excited to find Rebel'tude and Mickey so close to home. My experience was more than I expected. Mickey listened to me, made sure that I was 100% on board with the curly girl life, and talked me through everything she was going to do before we got started. She then got me a mimosa (tell me I was not a happy girl). I knew I was going to lose quite a bit of hair since there was so much leftover bleach on the ends that was making my hair SO frizzy. Mickey tried to save as much as possible but in the end, we needed to lose about 2 inches. No big deal, I would rather have healthy curls than longer frizz. After my dry cut, she washed and conditioned my hair. While the conditioner was on my hair she gave me a hand massage, even giving me 3 different scents to choose in the lotion. After that, we "squished" the products I needed into my hair and under the hair dryer, I went for a bit. Oh, did I mention that I had a hot foot soak while I was under the dryer? Umm ya, HEAVEN! Back to her station, she checked for straggler hairs now that it was styled, and explained that I could come back any time in the next 10 days to have any more wild ones I found at home trimmed. Wrap up? I LOVE MICKEY! Oh, in response to the bad review about a DevaCut with Mickey? If you research DevaCuts you know that they are NEVER done on someone that straightens their hair because of the fact that they are cuts that are done to fit your curls, not an even straight cut that you would get in a salon for straight hair." "Thank you Mickey for making this old girl Sassy!!!" "Ohhh Mickey!! Lovin this cut & color!! Appreciate You!!" 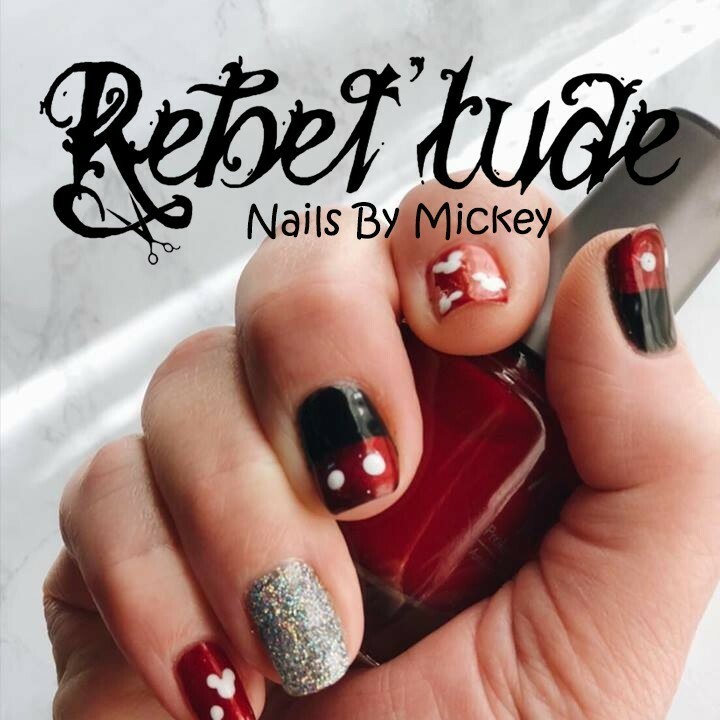 "Mickey and the ladies at Rebel'tude are fantastic. She was honest about the process of changing my color. She foiled my hair taking it to strawberry blonde and yet kept the integrity of my hair. She is a talented amazing wizard of hair and also the owner! Thank you for my beautiful hair! 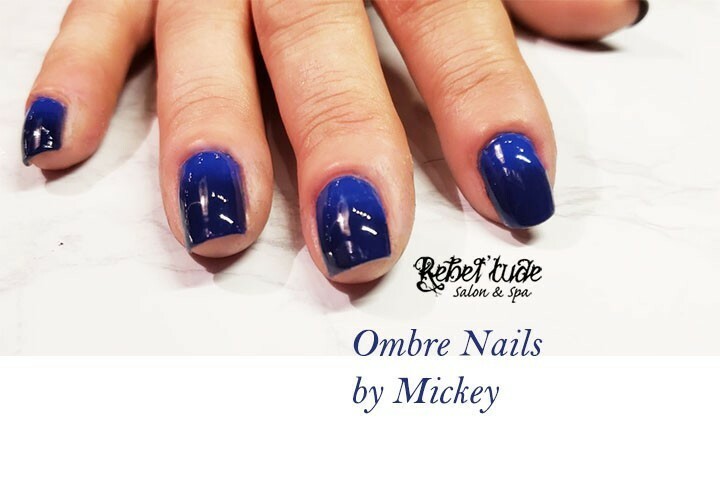 I would highly recommend Mickey and all of the ladies there!" Mickey was my stylist. 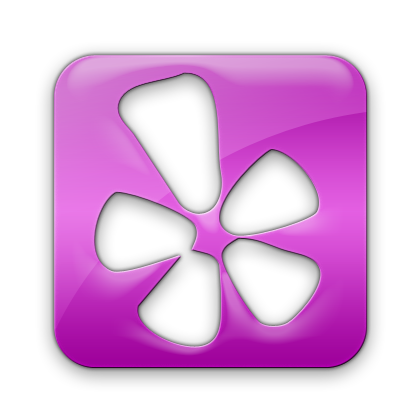 I will be recommending to my friends and will be back." "What a lovely salon. Very funky,fun and stylish but also very friendly and relaxing. Thank you Mickey for taking me as a new client. You did a wonderful job. I love my cut and so appreciate you listening to me and helping me articulate what I was looking for. I'm sending my husband in this week and I look forward to my next visit." Initially went with this salon because they have a 25% off for new customers. But, I am glad I did! Mickey took so much time with me to get my purple color just the way I wanted. The salon is gorgeous and they pamper you the second you walk in the door with beverages and a snack. The rose water foot soak and hand massage are such a nice perk. Mickey wanted to make a salon that stood out from others in the Harbor, she definitely did!!! Love it here! I will be back! 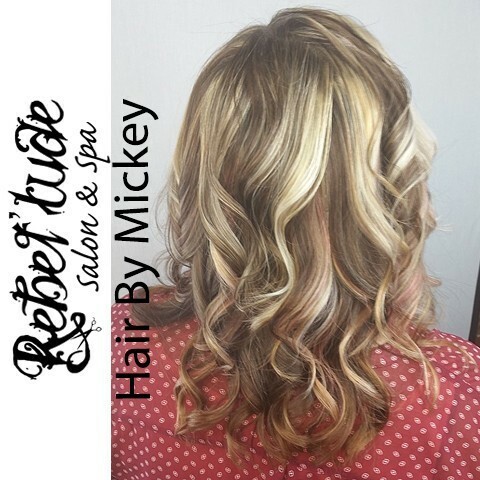 Mickey at Rebeltude did a fantastic job on my hair she did exactly what I wanted and I also got a neck rub,there is a great feel to the salon and very welcoming I will be back again!! New color and new pixie today.. Love it! Absolutely enjoyed the warm foot soak while processing! 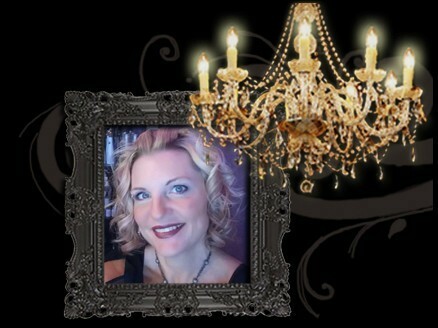 Owner Mikki is fun, vibrant and created a salon that matches her passion. You'll NOT be disappointed!!! Charity's hot mess hair w/ regrettable mullet has been vanquished and a much more illustrious, professional cut has taken its place. Thank you so much Mickey for making her my extra pretty lady! 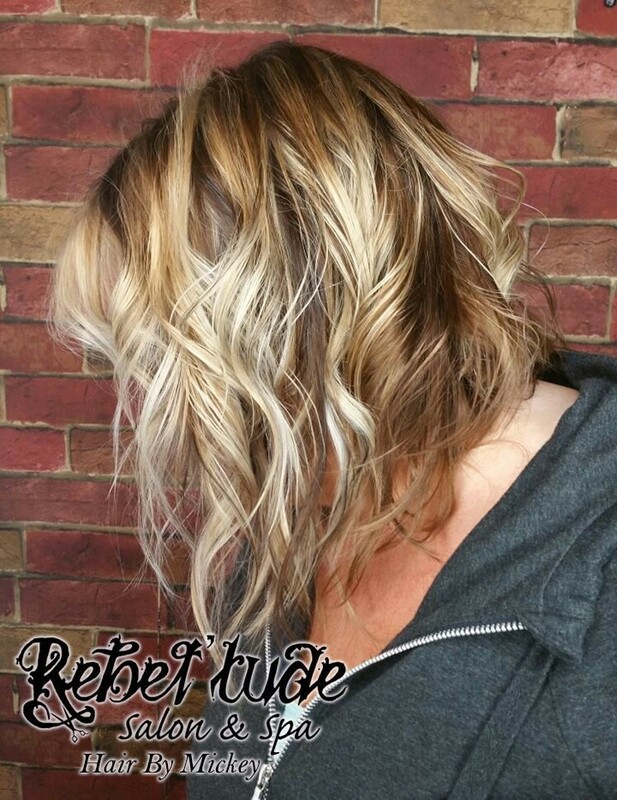 And if anyone elses hair needs love in GigHarbor you need to come to Rebel'tude and check this place out!!! The decor is amazing, everyone was so nice and they do great work. I will be getting my hair did their soon too! Mickey is an artist with hair. I think she has permanently reversed the graying process! Cut, color, style is awesome! 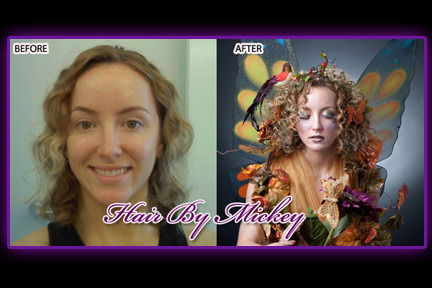 Hair by Mickey is without a doubt one of the best finds in Gig Harbor! 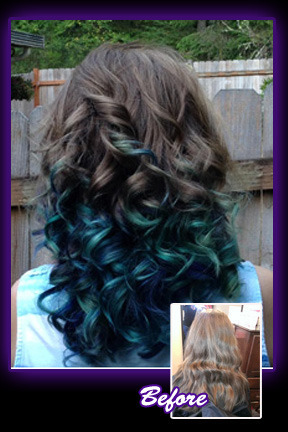 She is so creative and involved with every aspect of your hair. The consultation is very thorough . I have never been asked so many questions about my hair ever! She truly cares and strives to give you the best service possible. Mickey also gives you great tips on how to maintain your hair in between appts., to keep color from changing too much before your return I also got a hand massage which was great. I highly recommend Mickey and truly mean it when I say"welcome to the harbor"!! We are fortunate have someone as talented and creative as you ! 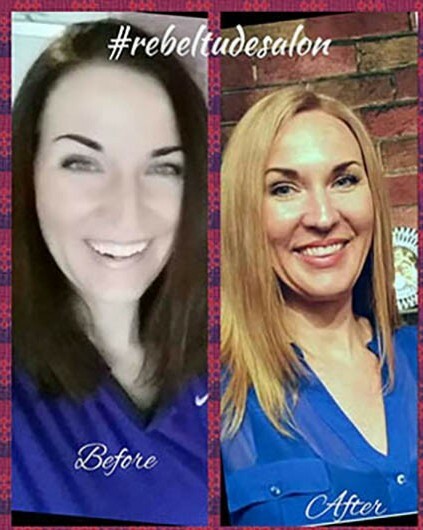 Hair coloring is her passion and the results show it! You will not be disappointed, and truly a delightful woman to work with! !